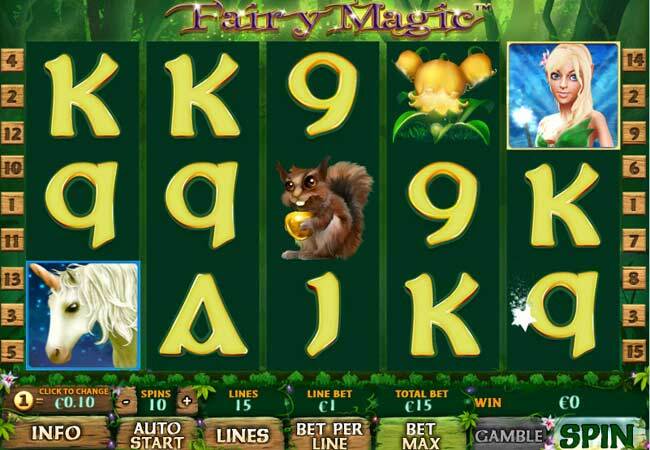 Fairy Magic offers 15 paylines across the 5 reels. Great graphics in this fairytale land of unicorns, dwarves and toadstools. The bonus symbol is the fairy with her wand and star, collect 4 stars and get yourself a bonus of 4 times your total bet, plus 5 FREE SPINS with a 2 times multiplier. The usual wild and scatter symbols are also available to help you get a correct winning symbol combination.